Montana’s big sky over head, wilderness at your doorstep, and iconic landmarks make Western Montana a picture perfect destination wedding. Western Montana locations range from rustic to modern elegance and there are venues and photo locations for every type of wedding as well as local musicians and everything you will need for your destination wedding. Western Montana has a variety of one-of-a-kind locations for a wedding. It is hard to go wrong when picking a location from such an extensive an impressive list. Let the Big Sky Country sunsets and the Rocky Mountains be your decor. Wow your guests with cuisine that combine fresh flavors and farm-to-table experiences on your special day. Think treats like bison burgers, huckleberries, Flathead Cherries, and local cheese to please all the foodies on your guest list. From the location, to the cake to the season, every bride has a vision. In Western Montana, we have full-fledged four seasons. Have the perfect winter wedding, a colorful backdrop of fall foliage or a bright blue sky of summer with green all around with a wedding in Western Montana. Post by Izaak Walton Inn. Barns are everywhere in Western Montana. If you’re rustic wedding Pinterest boards are filled with visions of a quaint barn in the country side, find the right one that fits your needs here. If you’re going to have a destination wedding, you want to be sure that there is plenty of things to see and do to make it worth it for your guests to make the trip. A requirement that is easy to fill in Western Montana. Scenic drives, national parks, outdoor adventures – the list goes on and on. 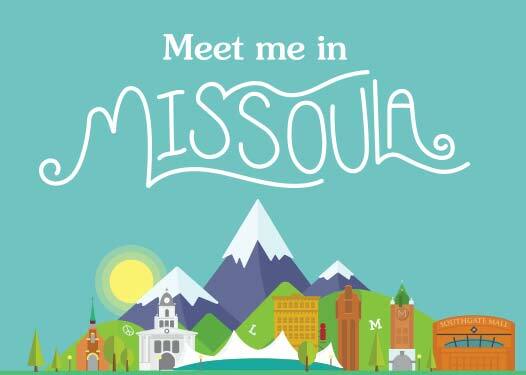 With so many things to do in Missoula, and Western Montana your guests are sure to have a vacation to remember as well.